Our goal is to let good music speak. Gimme good music for my event! We are Raleigh Durham’s premier DJ services company. We want your guests to enjoy good music. We want your dance floor packed. We want your event to be memorable. We are skilled DJs who mix and spin good music. We transform venues with our accent uplights and dance floor lights. We partner with you to create an exciting and memorable event. See and hear us in action. Vox DJ works hard to customize each event for their clients whether it’s music, emceeing, lights or even just working through the schedule itself. They made our venue look beautiful with their uplights. Most importantly they kept the party going from out of the gate and the dance floor was packed throughout the night. I would almost get married again just to have them DJ! Vox DJ is amazing! When we met them for our consult he was easy to talk to and clearly was comfortable with the style of music we wanted. His online payment system and contract made it easy to hire him, and his online questionnaire was incredibly thorough. We decided several months after hiring him to have do ceremony music and lighting as well, and having those services added was seamless. The lighting was beautiful, the music was perfect, and I could not recommend Vox DJ more highly! 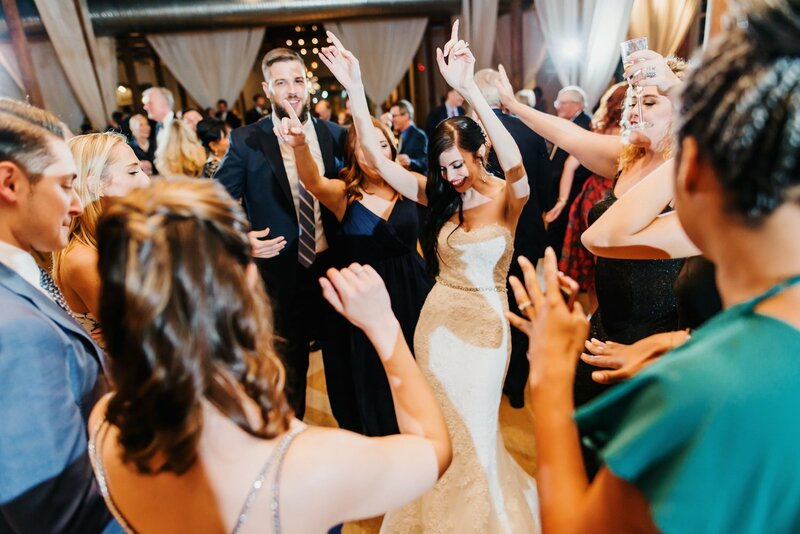 Of all the professionals we worked with for our wedding, Vox DJ was the best! They were incredibly professional, efficient, and organized. Vox DJ provides a document where you can provide detailed instructions about your event, a timeline of the event, and the specific songs you would like played. If you choose to work with Vox DJ, you are going to receive excellent service and support, and have great music and a lot of fun! Vox DJ was absolutely amazing!!! They definitely worked with us and was flexible to get the right package for our wedding. 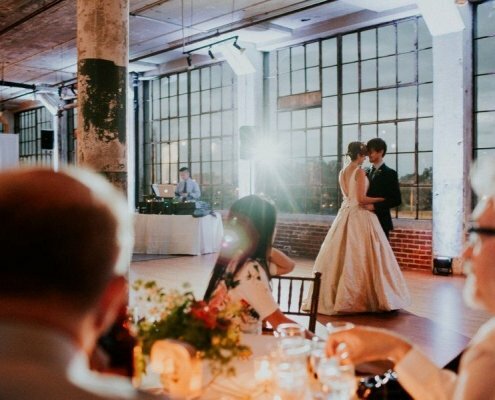 We received many compliments about how the music was awesome at our wedding. They had guests of all ages – 4 years to over 80 years old – on the dance floor! Vox DJ is great to work with and he has great expertise in how to turn a standard ballroom into an exceptional one! Vox DJ was very friendly, professional, and accessible. We picked out a few songs, but mostly trusted them in picking the music – and tey far exceeded our expectations. They had a great dinner music selection, and then had us and our guests on the dance floor ALL NIGHT!! We HIGHLY recommend them to everyone. 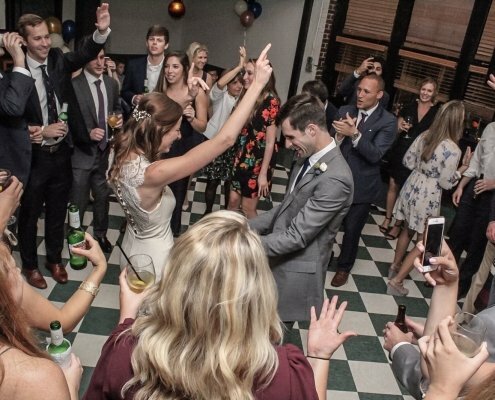 Vox DJ truly helped make our wedding memorable! We were agonizing over the decision between Vox DJ and Joe Bunn, which is probably the biggest DJ company in the triangle. We loved both DJs at the initial interview but we felt we wanted to give Vox DJ a chance. They did such a wonderful job at our wedding and they were great to work with beforehand as well! 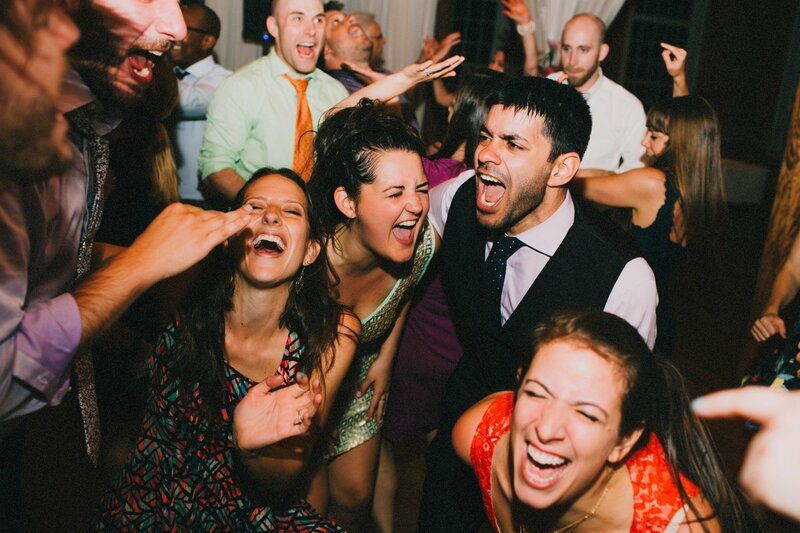 Several guests attending our wedding said it was one of the most fun they had ever experienced. You won’t be disappointed! Find the right package for your event!